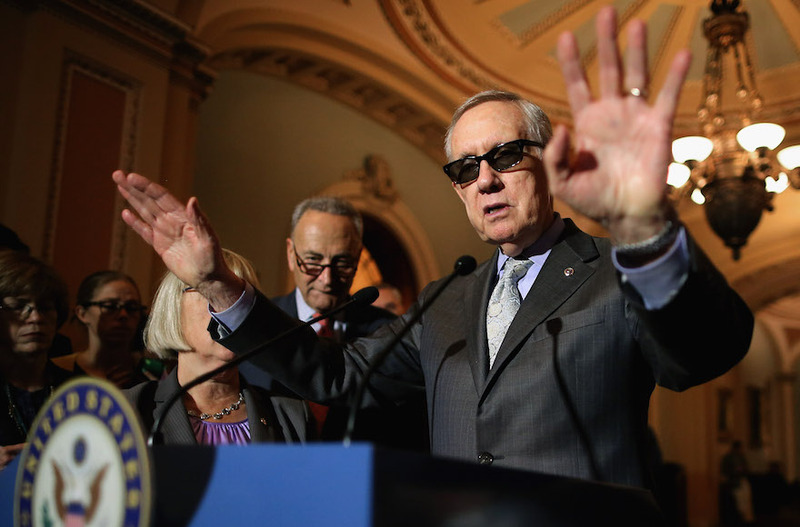 (JTA) — Senate Minority Leader Harry Reid announced his support for the Iran nuclear deal. Reid (D-Nev.) called the deal the “best way” to curtail Iran’s military ambitions in an interview Sunday with the Washington Post. “This is the best way, the only way, to keep Iran from getting a nuclear weapon,” Reid said. Reid is the 27th Senate Democrat to publicly endorse the plan, in which the United States and five other world powers offered Iran sanctions relief in exchange for scaling back its nuclear program, according to the Post. His current term ends in January 2017 and he has said he will not seek reelection. Meanwhile, Rep. Collin Peterson (D-Minn.), a Democrat who often votes with Republicans and is undecided on the Iran deal, told the daily Star Tribune that he received a call from Israeli Prime Minister Benjamin Netanyahu detailing his concerns about the deal. He told the newspaper he has not received a call from the White House. Congress will vote on whether to approve the deal in September. Obama has vowed to veto any legislation aimed at blocking the deal.